We had a terrific start on our first workday on Sunday. 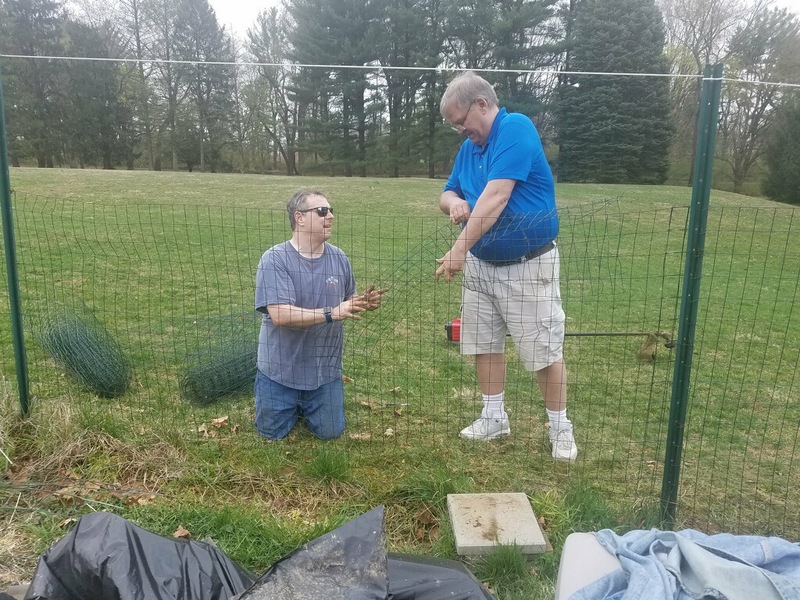 We were able to begin repairing the fencing, and started cleaning up the beds and transferring new soil to the beds. Rich, Steve Z, The Lockhart family and Ben Mogoi were there to help with the efforts! 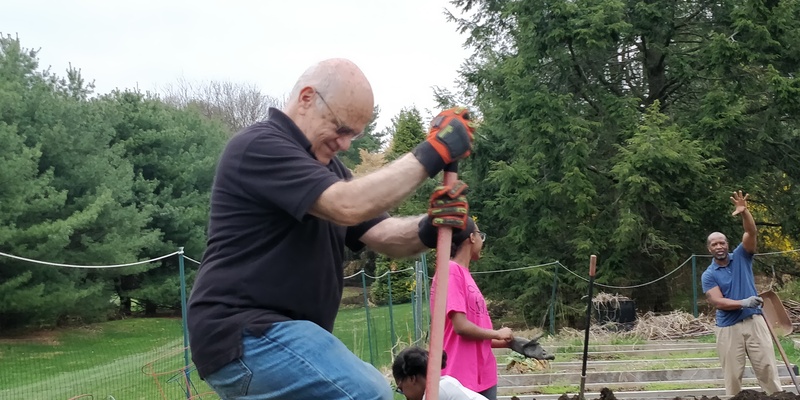 Some raised beds needed some repairs. A big thank you to everyone that was able to help. The Lockhart’s proposed a great idea for “Breakfast at the Garden” Saturday, May 25th, at 10AM. We will have breakfast and a great opportunity for fellowship and finding out what the garden is all about. While the next scheduled work day is 5/4 (Saturday) @ 9:00AM, there is also a general church clean up day on 4/27. I encourage you all to lend a hand for an hour or whatever you can spare. I wish you all a Happy Easter, and look forward to seeing you all soon! We had our first meeting. In attendance was Nicole L, Steve Z, Jaimee, Rich C., and Ben M. showed a little later. We talked mostly about clean up tasks, repairing the fencing, and idea for seed planting. 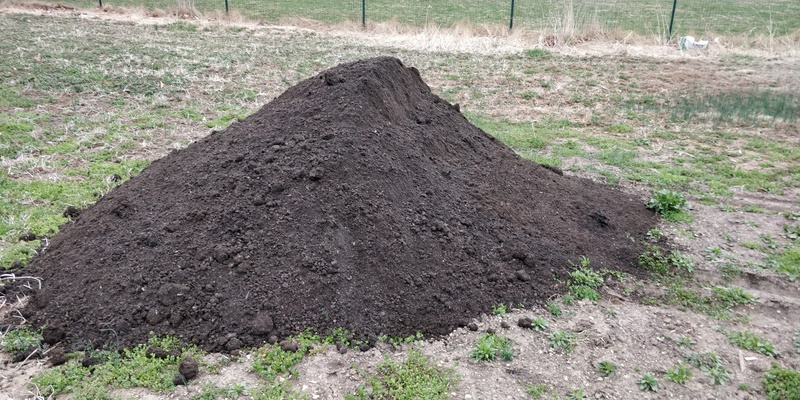 If you have not let me know about your intention for your plot this year, please let me know. I will be reaching out to you. 4/14 (Sunday) @ 10:30AM – 1:30PM show up after service! 5/4 (Saturday) @ 9:00AM – Saturday morning. I had delivered (today) 6 cu. 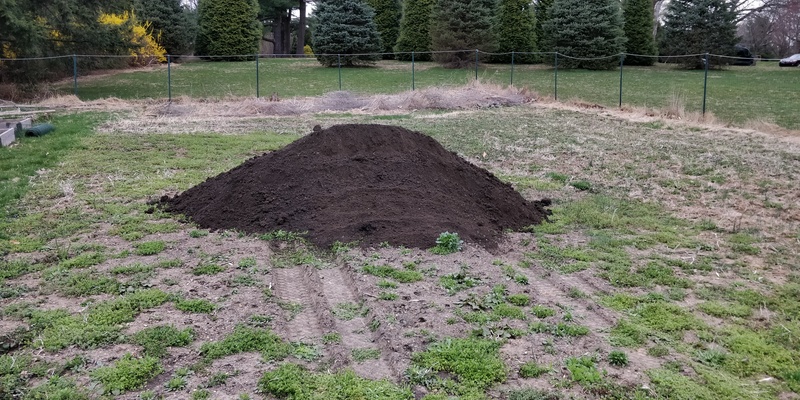 yds of Mushroom Soil. This is about half of what we had last year. Primarily we will use this to top off the beds. For the upcoming workday we can focus on clean up and bed preparation. I will also get a spool or two of fencing. Does anyone have a reasonably hefty wire cutter they could bring? 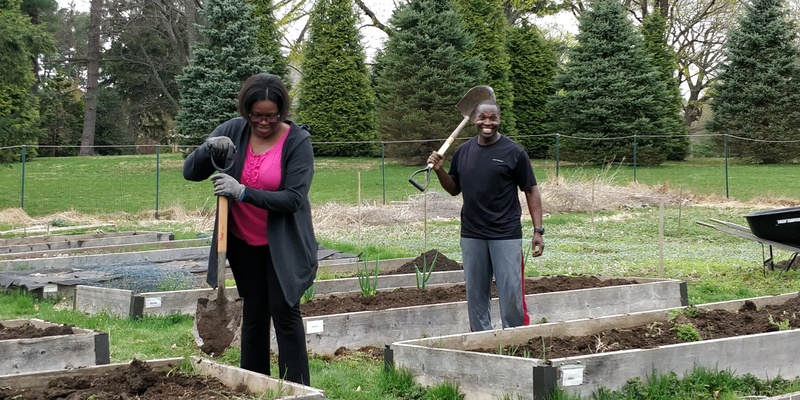 * Also, 4/27 @ 9:00AM is a church wide work clean-up day, it would also helpful if gardeners can lend a helping hand to that effort, especially as there may be some general clean up tasks that overlap! Come for an hour or whatever you can do! 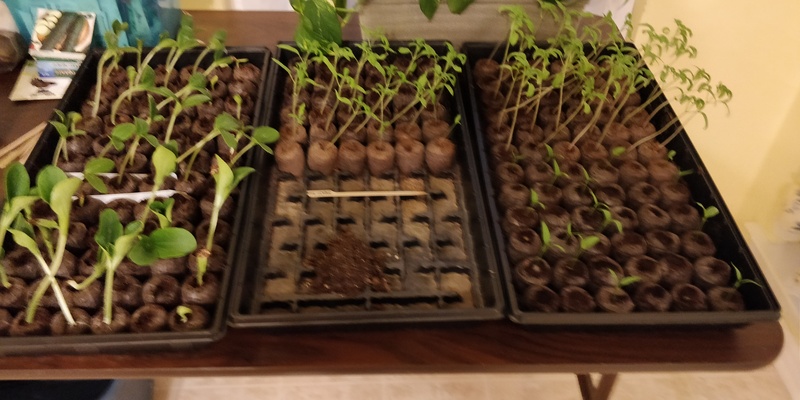 I started plants, tomatoes, peppers, and two varieties of squash. They are doing quite well. See pictures below! 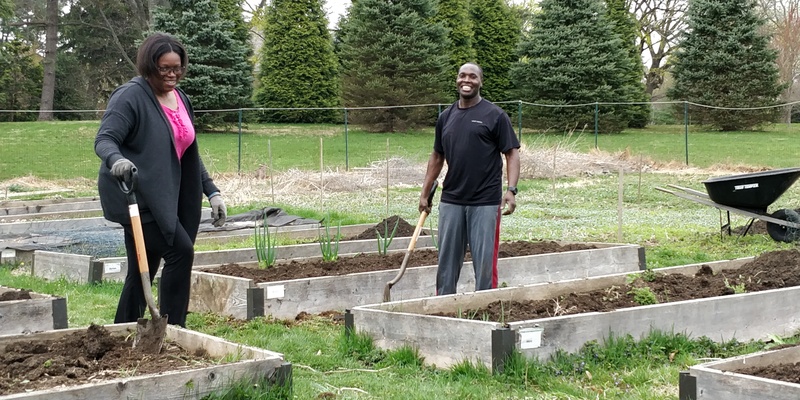 Calling all gardeners! Were you excited for an extra evening hour of sun? We were too! 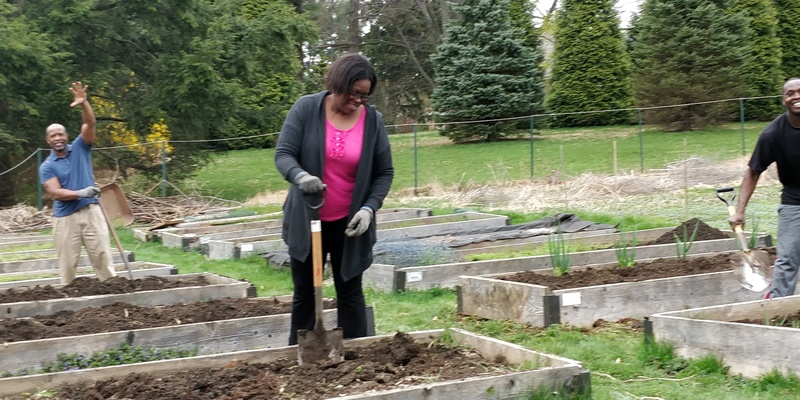 Spring is on its way, and with it time to begin planning for the Wesley Church Community Garden. 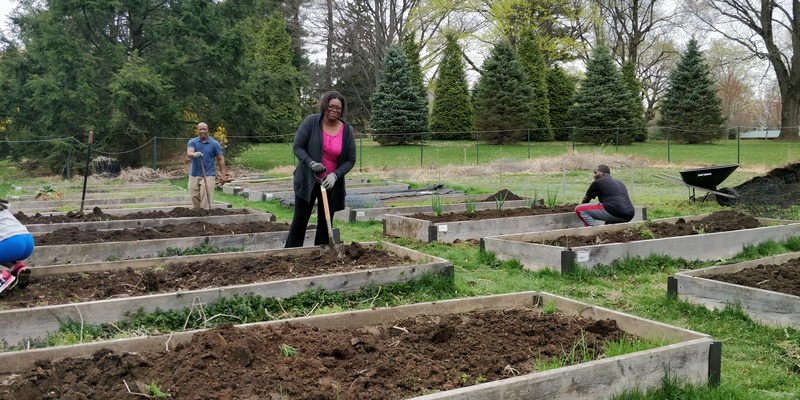 If you would like to learn more about the garden, have a plot, or otherwise volunteer this year, we have our first Garden meeting planned for Thursday, March 28th 6:00PM-8:00PM. Meeting will be in the Youth Lounge at the church. Please be there as we get an early start on discussing 2019 plans for the garden. 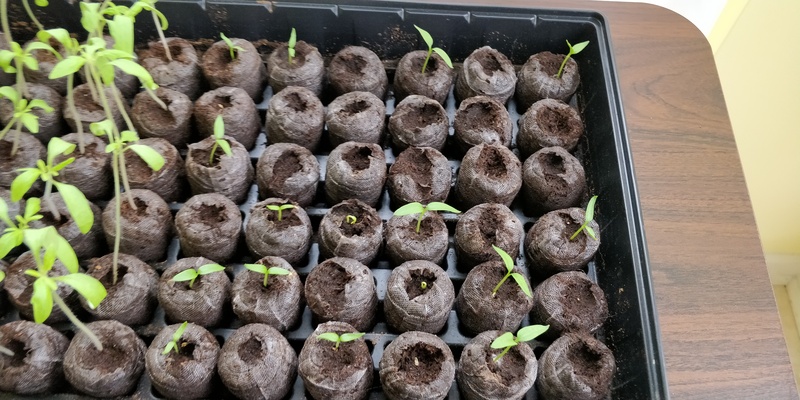 It’s also not too late to start your seedlings, frost free planting is only about 9 weeks away! Wow what a rain last night! Because everything is still soggy and will only make cleanup messy, we will cancel our last formal workday. If your bed still needs to be cleared for the season, I would do so soon. We made some great progress on the last work date, and I know Ben has also done some cleanup, so I believe we are in pretty good shape. Thank you for a good season! Looking forward to seeing you all soon! 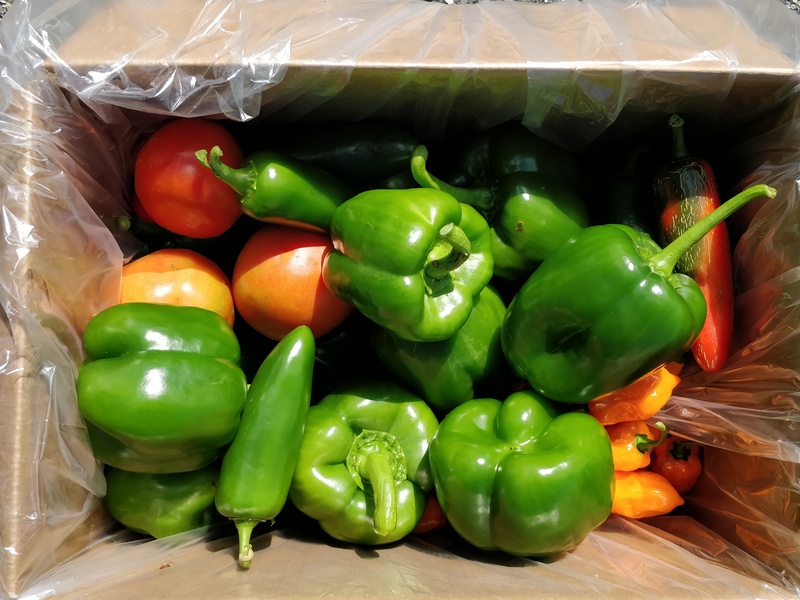 Chris F. made a donation of 50 lbs. of potatoes on our behalf to New Bethany. 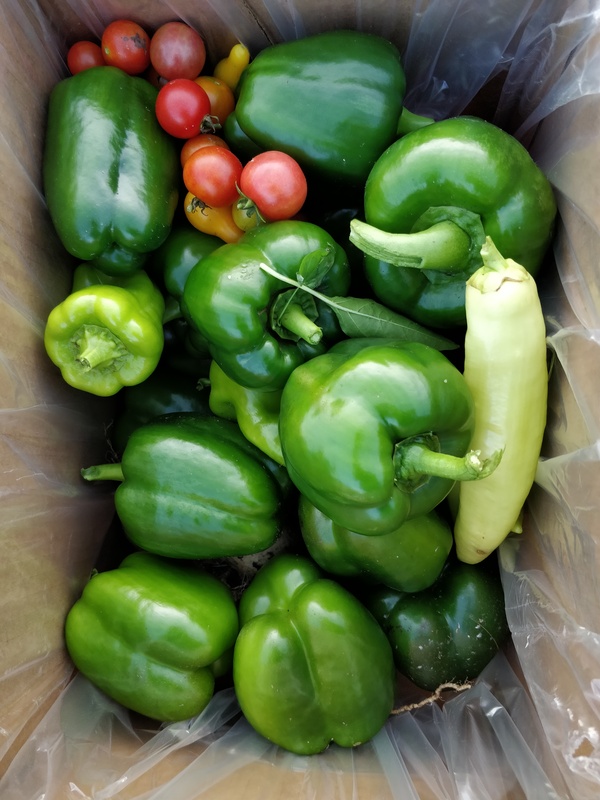 10/29/2018 – 50 lbs. 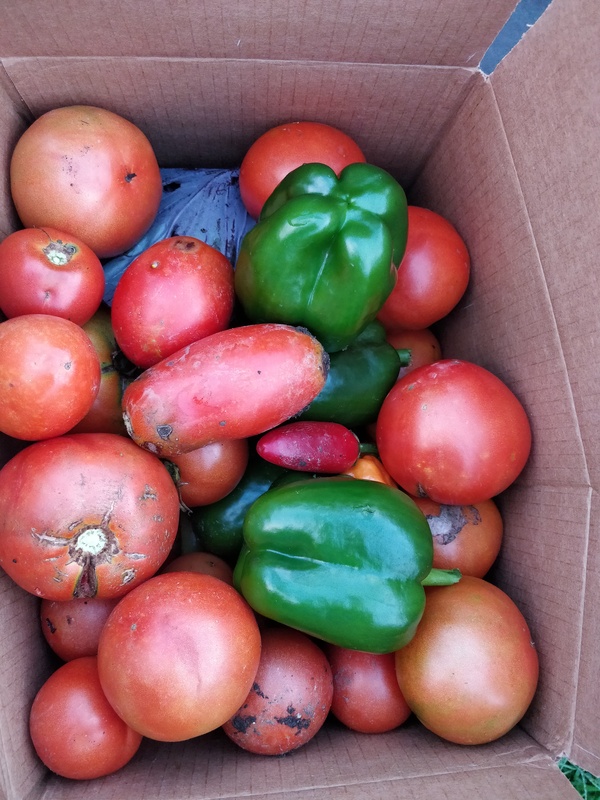 – New Bethany Ministries –Potatoes — Thanks Chris F.! Things are definitely winding down at the garden. I’m not sure when the first frost will come our way as the weather has remained warm. 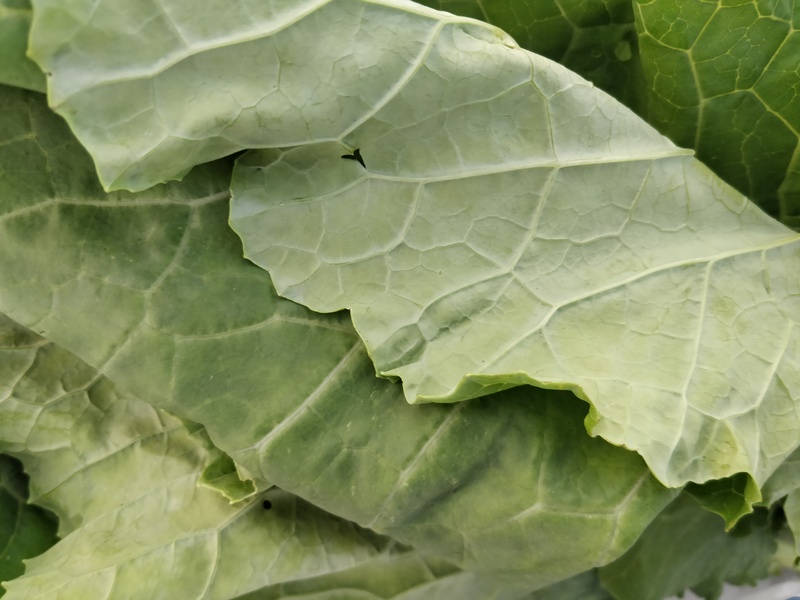 We can give our vegetables a little more time. 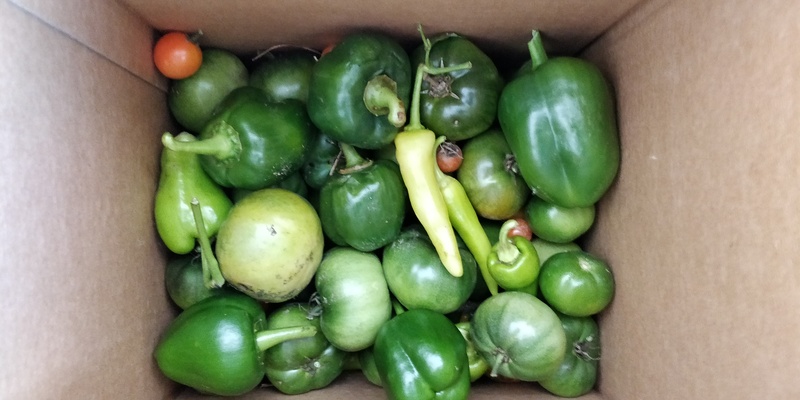 There are plenty of green tomatoes, but I don’t believe we’ll see too many more ripe ones. 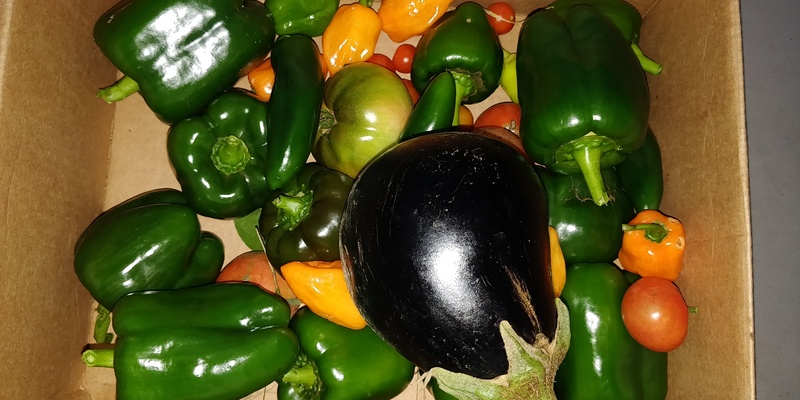 Peppers and a few eggplant are about the only things still producing. With that in mind I’d like to plan two workdays for clearing out the garden for the season. Sunday, October 21st after first service 10:30ish – 1:00PM and Saturday, November 3rd @ 10:00AM – 1:00PM. During the Church Clean up event, we were able to cut down the tree that had grown just outside the fencing, however we will need to cut it up into pieces to dispose. 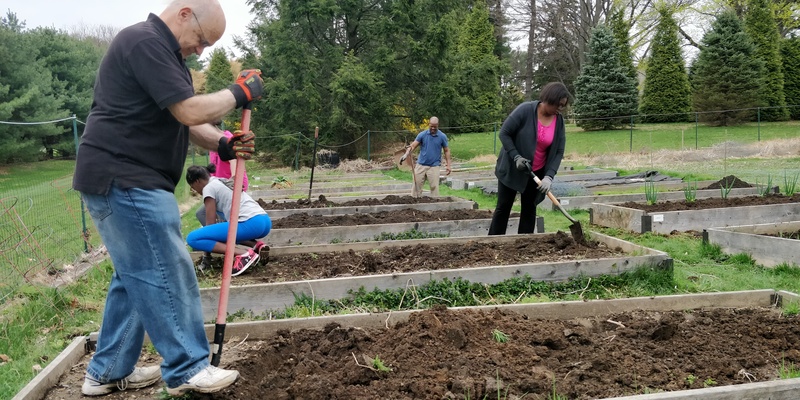 Clean up Raised Beds and remove cages. Mow lawn and unattended part of open area. It had been difficult to mow since so many beds had plants growing out of the bed. 09/27/2018 – 17 lbs. 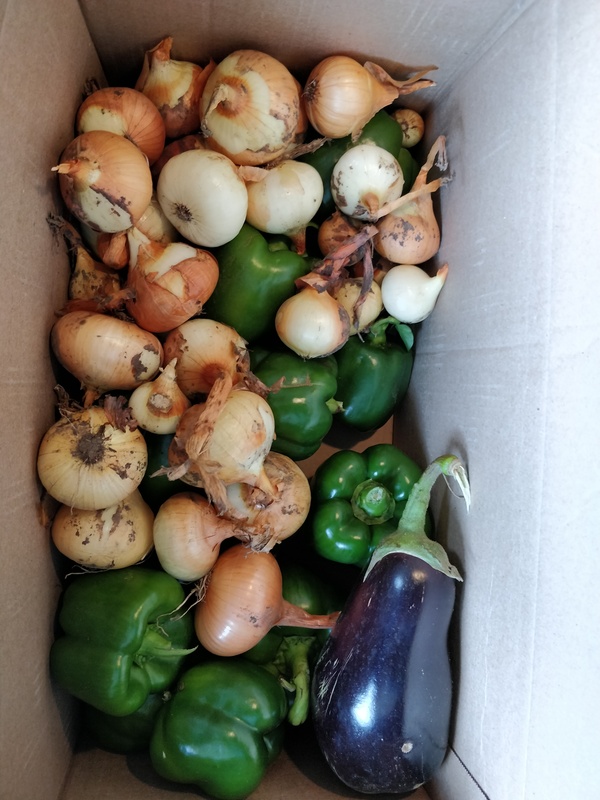 – Northeast Ministries –Onions, Eggplant, Beans, Peppers, Hot Peppers — Thanks Sue K! 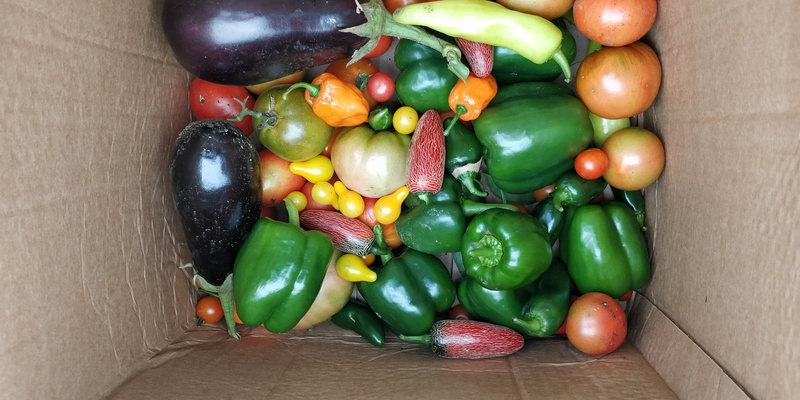 The rain has made harvesting tricky, and actually has slowed down the output but we have had a few harvests. 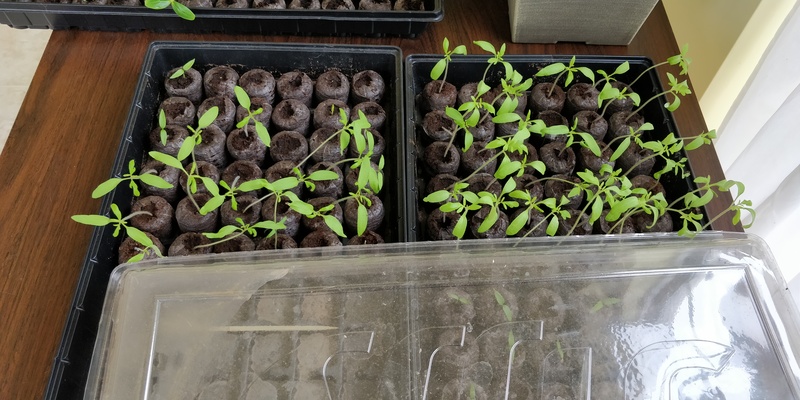 Tomatoes continue to suffer this season. 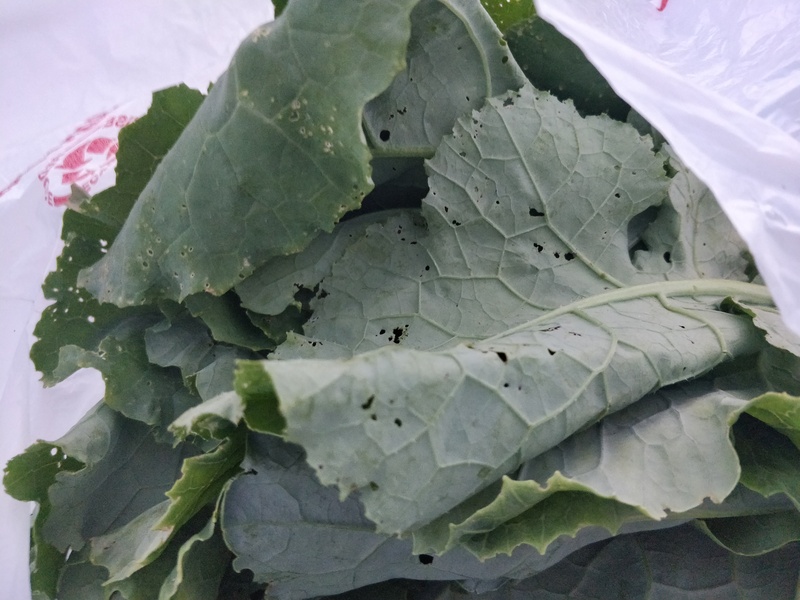 They are splitting and others are getting some kind of blight. 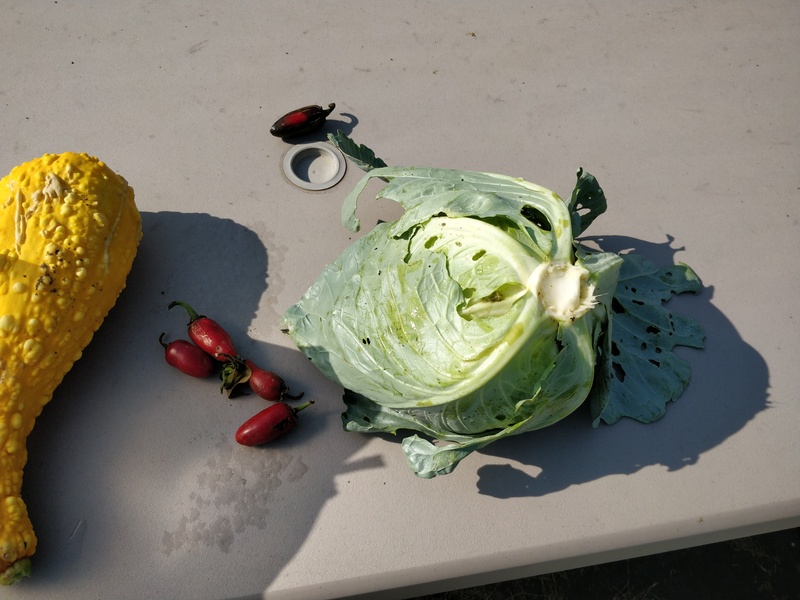 Every harvest we manage to get a few, but not where we expected. 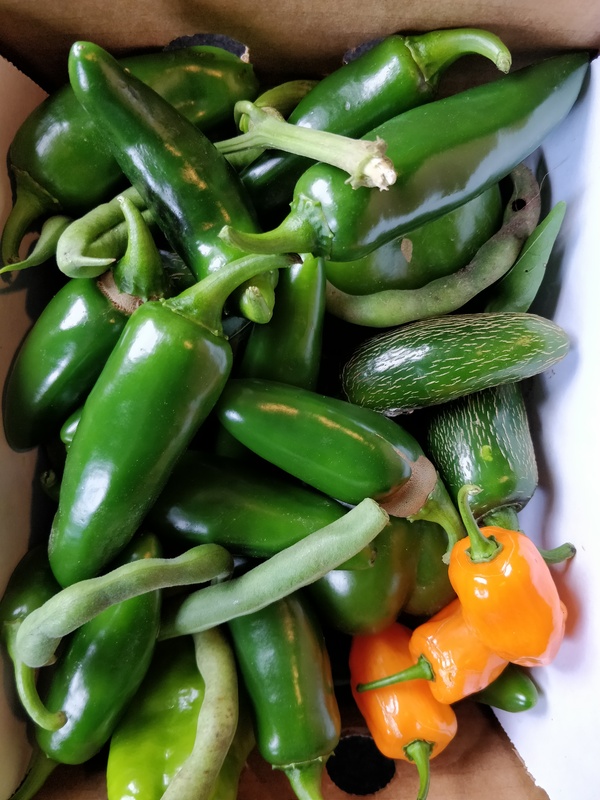 Surprisingly though the peppers have perked up a bit and we are getting some good ones! Happy Labor Day Everyone! Because of the holiday, we won’t be collecting a harvest until Monday evening. Hope everyone is enjoying that last stretch of summer. 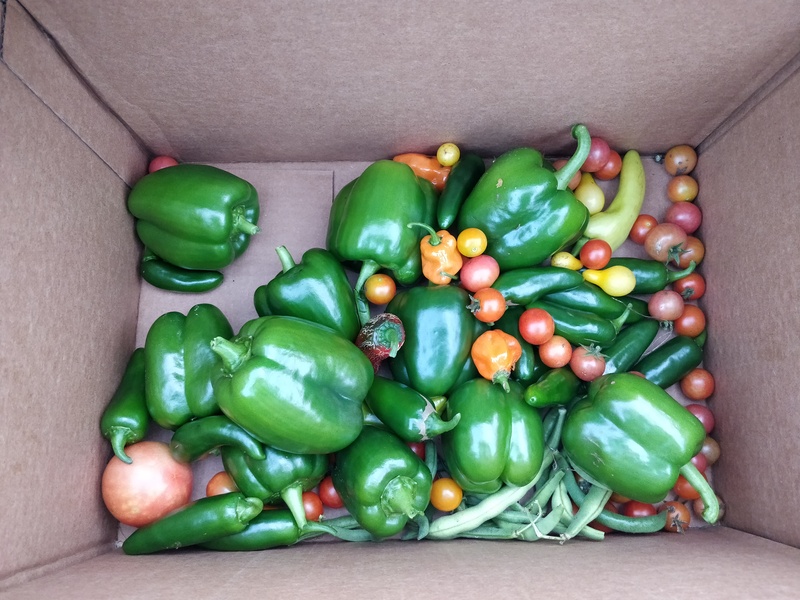 We’ve had a few good harvests last week totaling over 80lbs. Thanks to Ben for mowing recently. 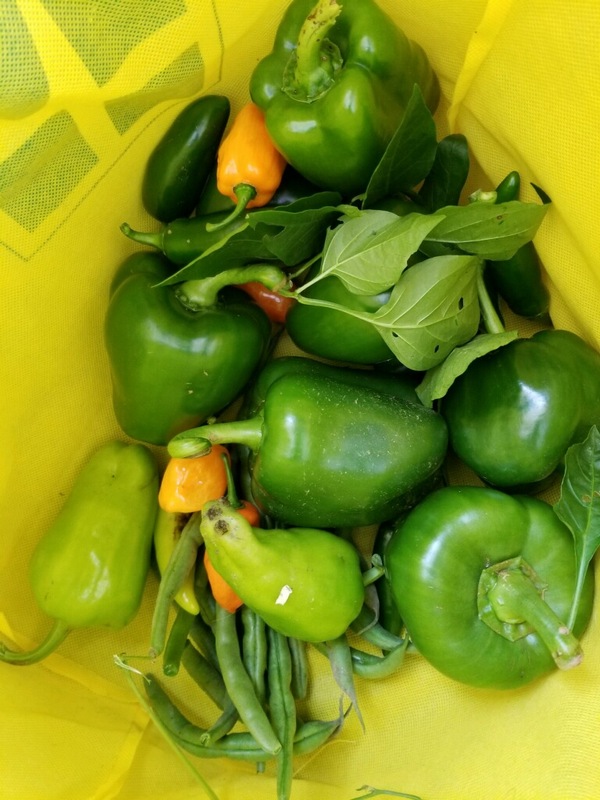 Also, thanks to Sue and Rich for harvesting on Wednesday. As things wind down we will need to plan some final workdays for garden clean up. 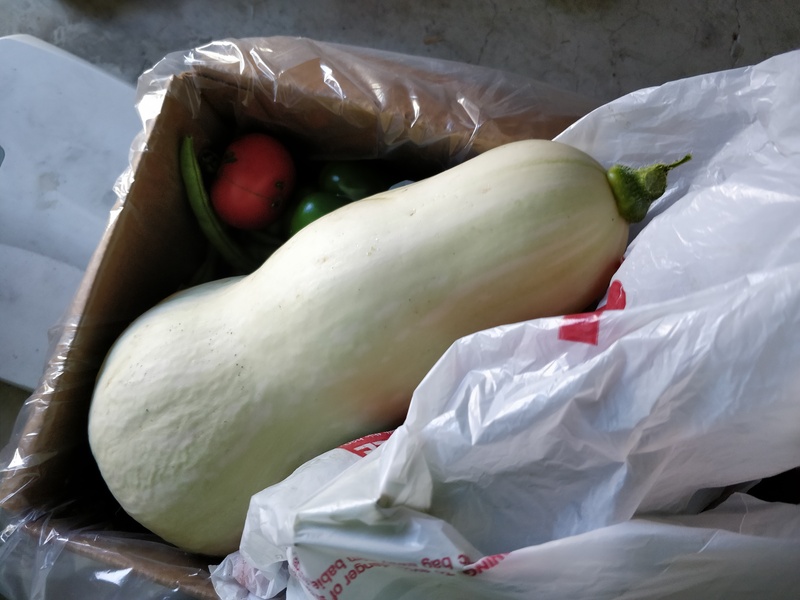 08/23/2018 – 51 lbs. 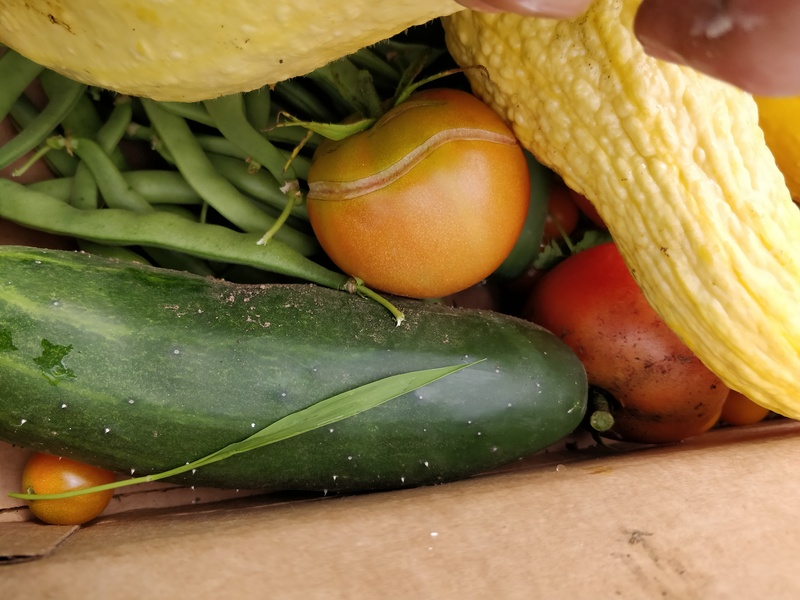 – Northeast Ministries — Squash, Cabbage, , Eggplant, Peppers, Tomatoes. 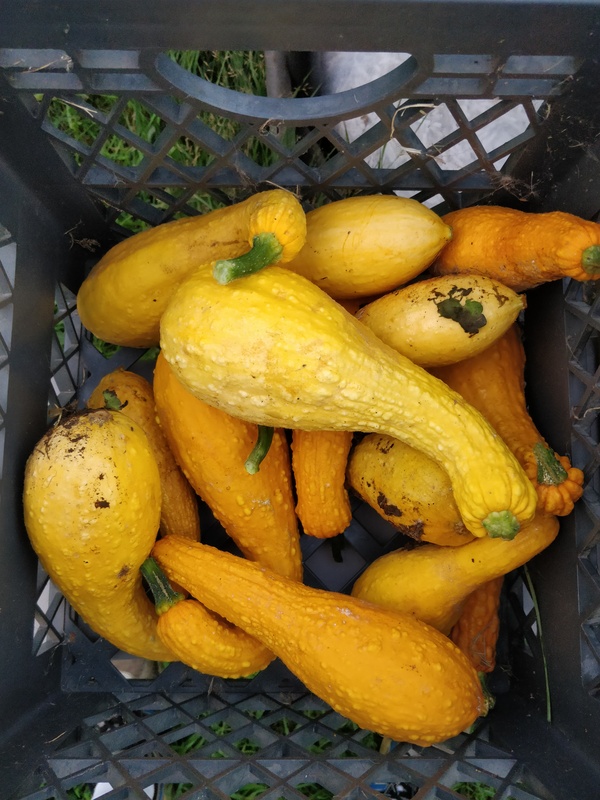 08/27/2018 – 15 lbs. 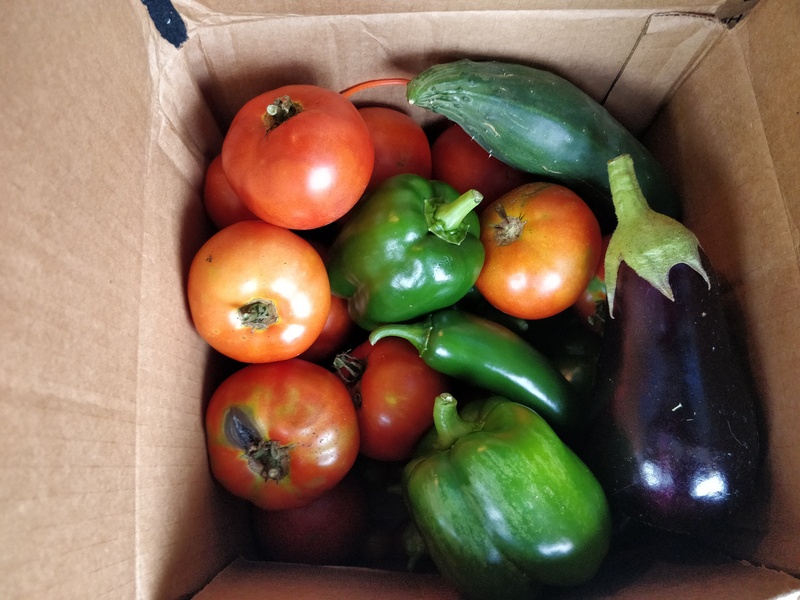 – Second Harvest – Tomatoes, Eggplant, Peppers, Beans, Cucumbers. 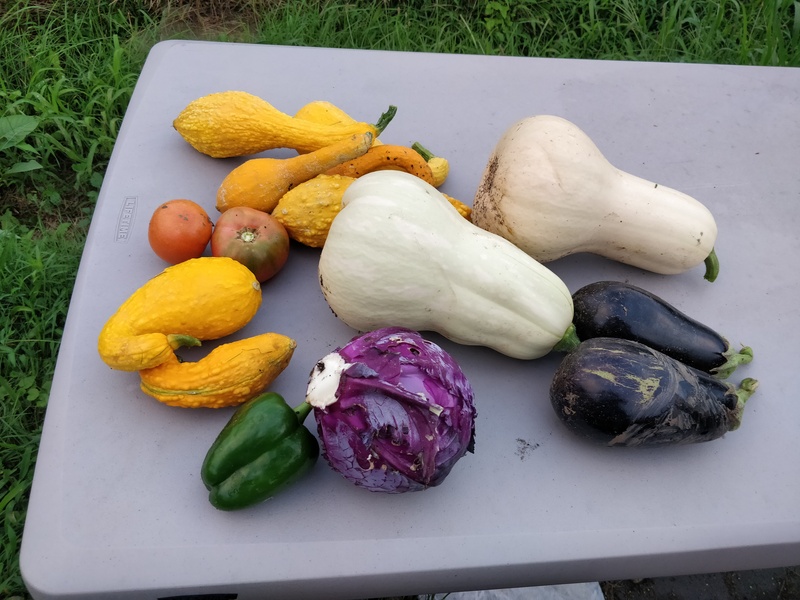 08/30/2018 – 15 lbs. 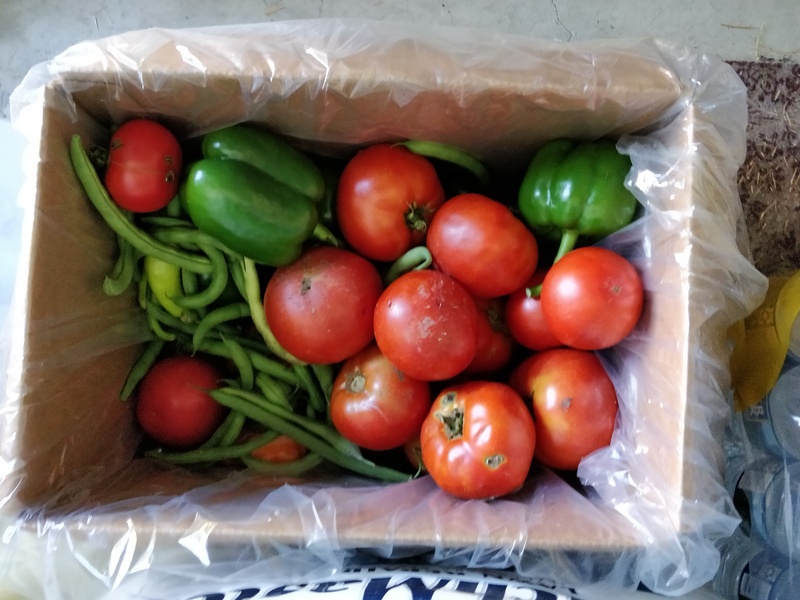 – Trinity Soup Kitchen –Beans, Cucumbers, tomatoes. 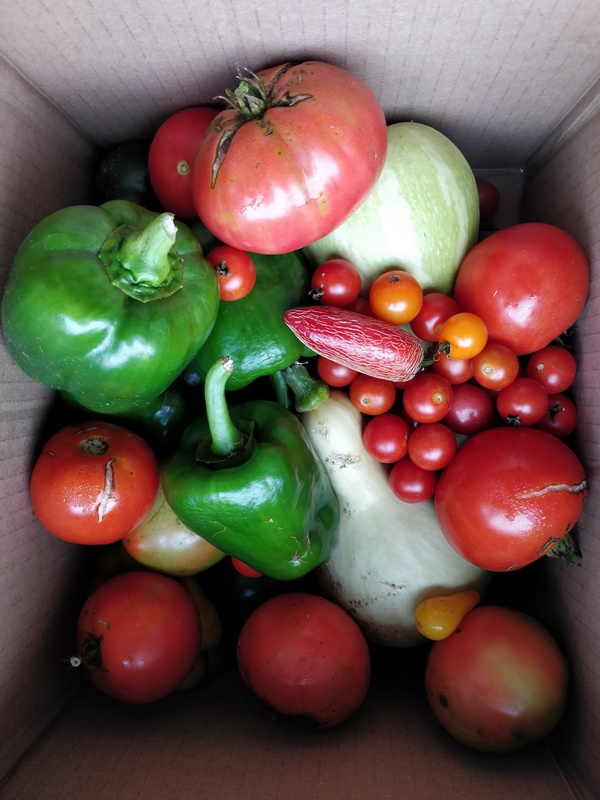 We continue to have some good harvests, though no significant bounty of tomatoes yet. Still keeping my fingers crossed! I had attempted to mow the garden last time I was up. I had left my mower in the shed, but it was at an angle and it’s spewing clouds of smoke and oil from the muffler so I had to stop. We are taking Tim back to OSU, hard to believe it’s that time already! I’m sure a few of you are getting ready for the same. I won’t be able to make any collections until Wednesday night. 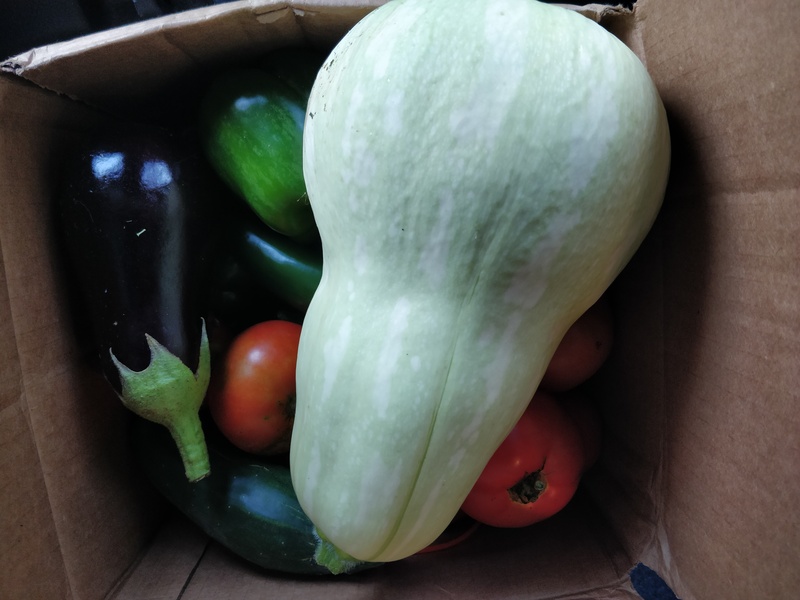 08/13/2018 – 32 lbs. 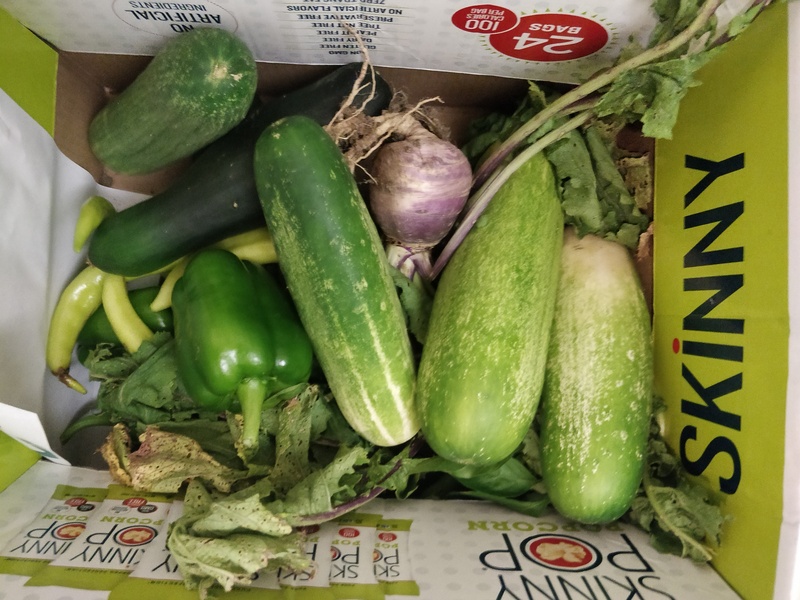 – Trinity Soup Kitchen –Squash, Kale, Cucumbers, Eggplant, Peppers. 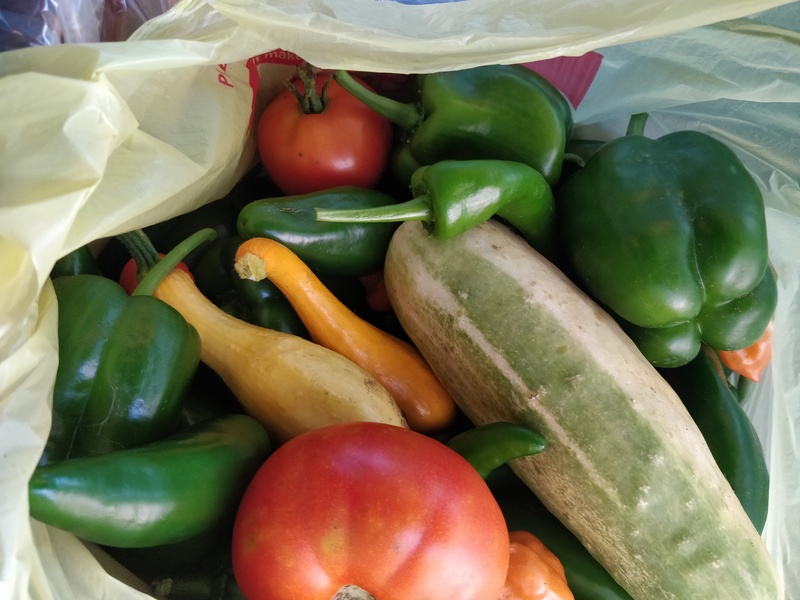 08/14/2018 – 5 lbs. 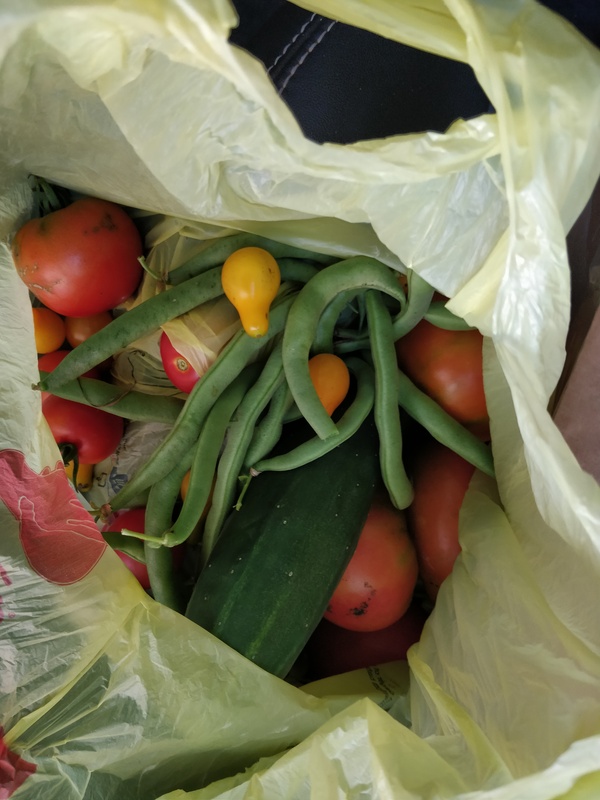 – Second Harvest – Kale, Tomatoes, Beans, Cucumbers. 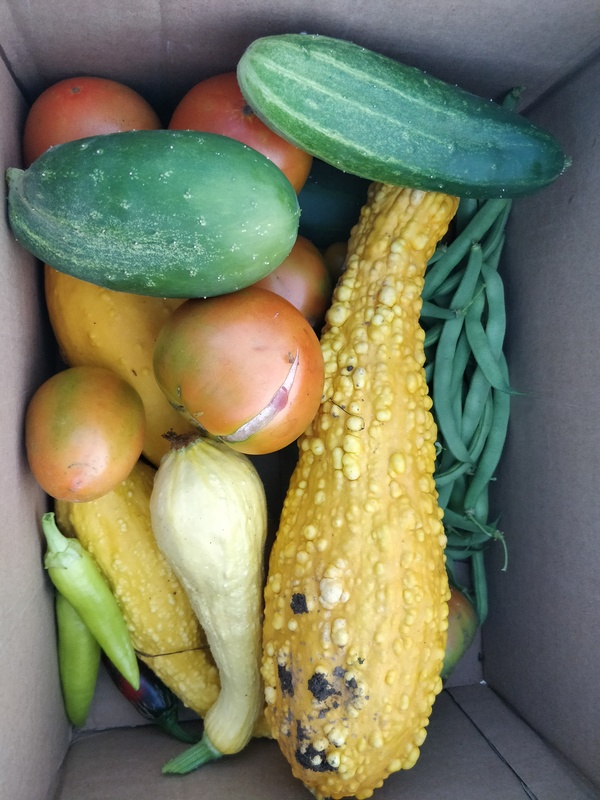 08/16/2018 – 23 lbs. 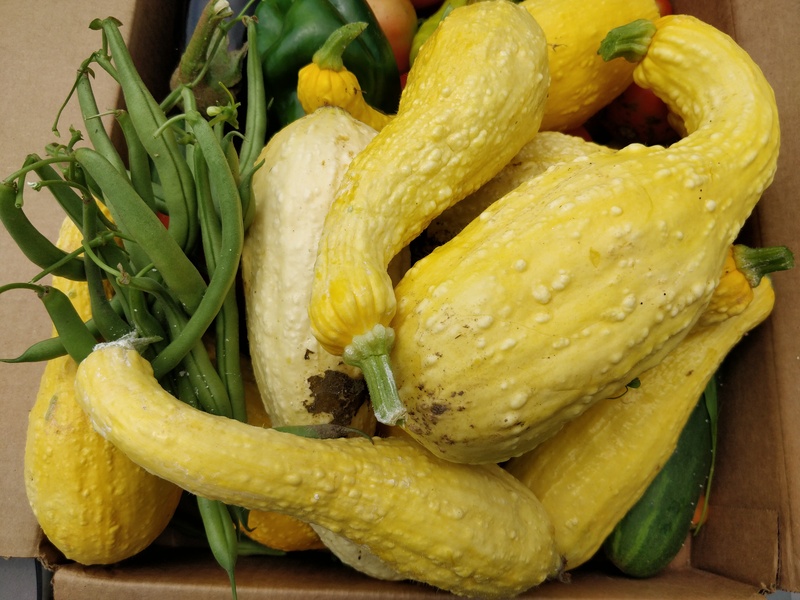 – Northeast Ministries –Kale, Squash, Cucumbers, Banana Peppers, Green Beans, Raspberries, tomatoes. As the rain sets in again, I hope it will do our garden some good. 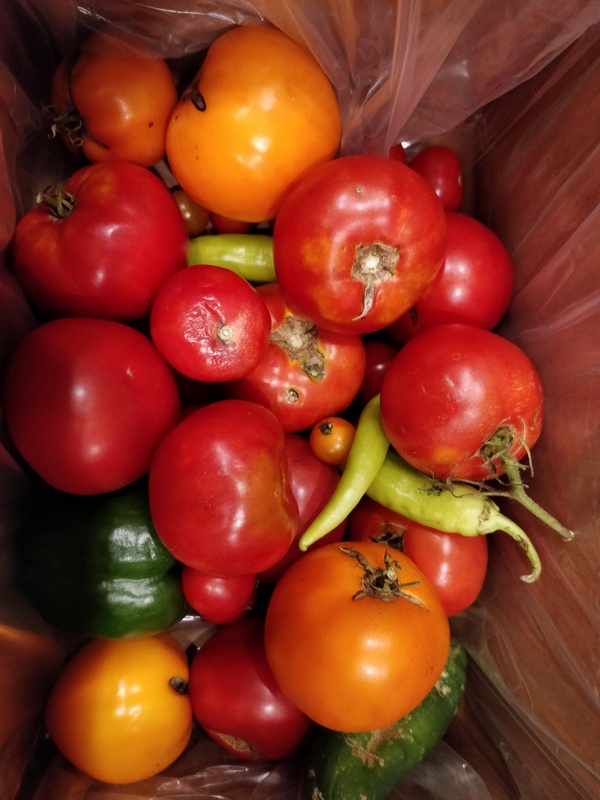 Tomatoes have been struggling this season, though we are just starting to get some beans, and the squash and cucumbers have been our big producers this year. 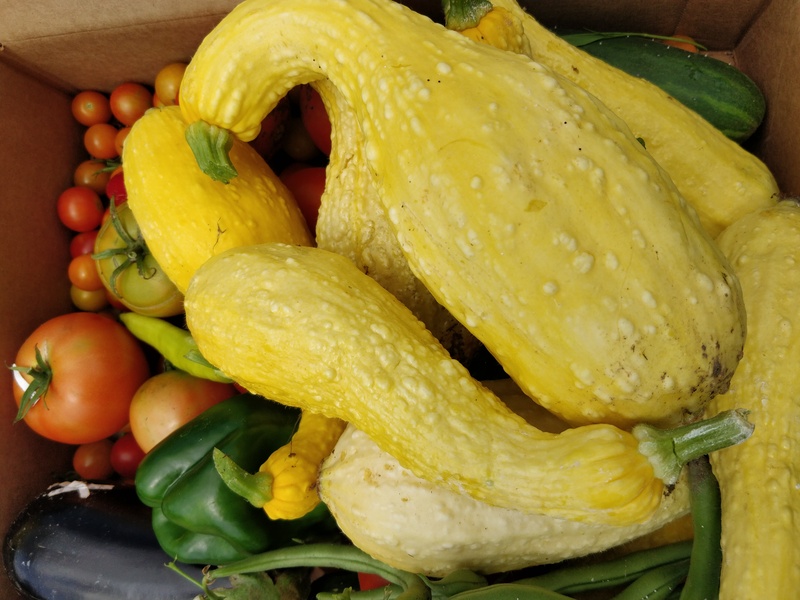 That may change though as many squash plants are starting to wilt, and the squash bugs seem plentiful. 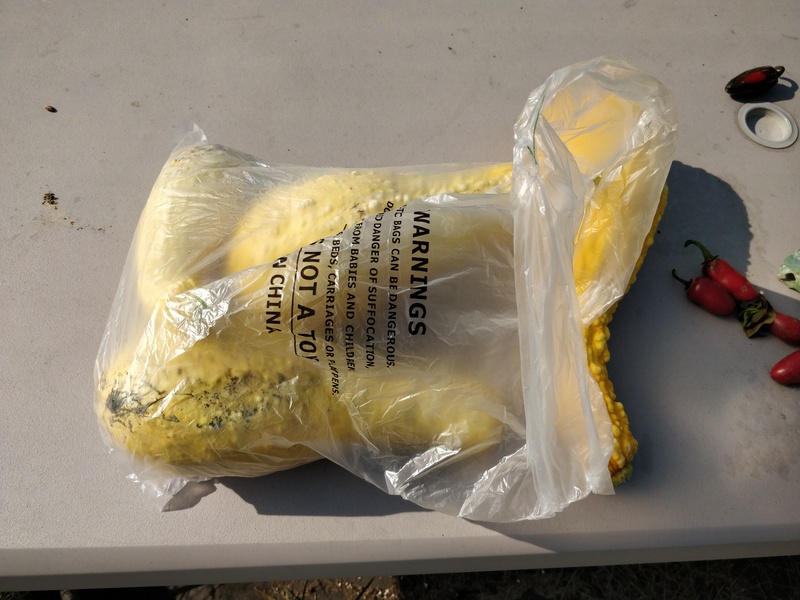 Looking into some organic approaches we could take I got some organic soap spray and some diatomaceous earth. Both are said to help. So we will give it a go, though it may be a little late. But our donations are doing well. 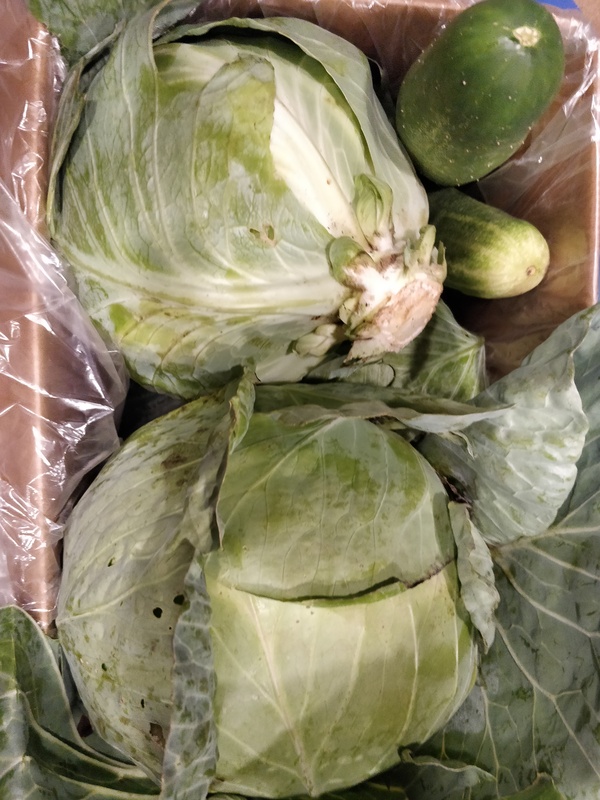 We’ve had some great cabbage also this season, which we haven’t had a lot of luck with in the past. 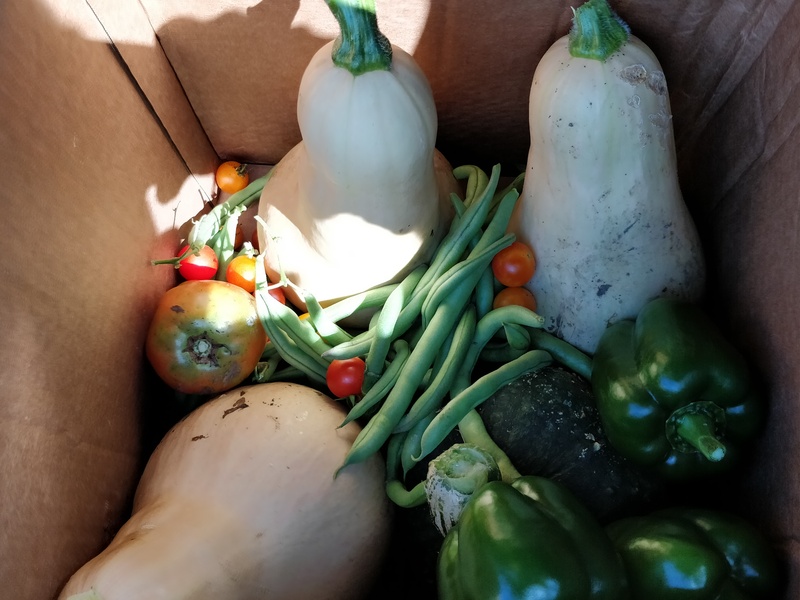 A different season, a different set of veggies that do well! 08/06/2018 – 23 lbs. 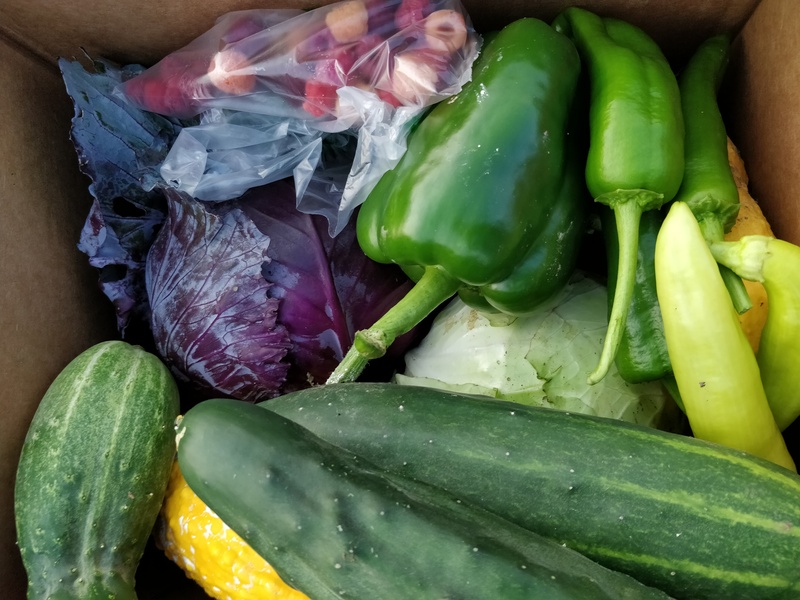 – Second Harvest – Cabbage, Squash, Kale, Cucumbers, Peppers. 08/07/2018 – 16 lbs. 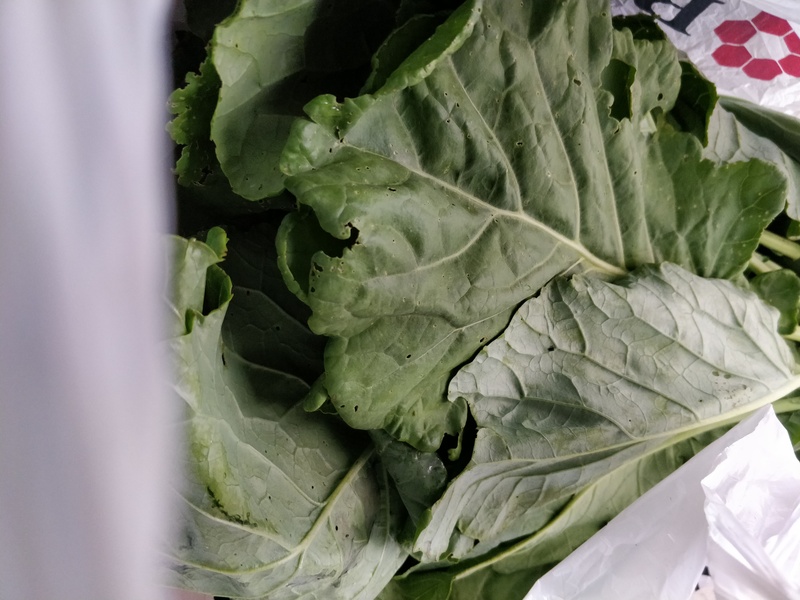 – New Bethany Ministries – Kale, 3 Cabbage — Thanks Ben! 08/09/2018 – 12 lbs. 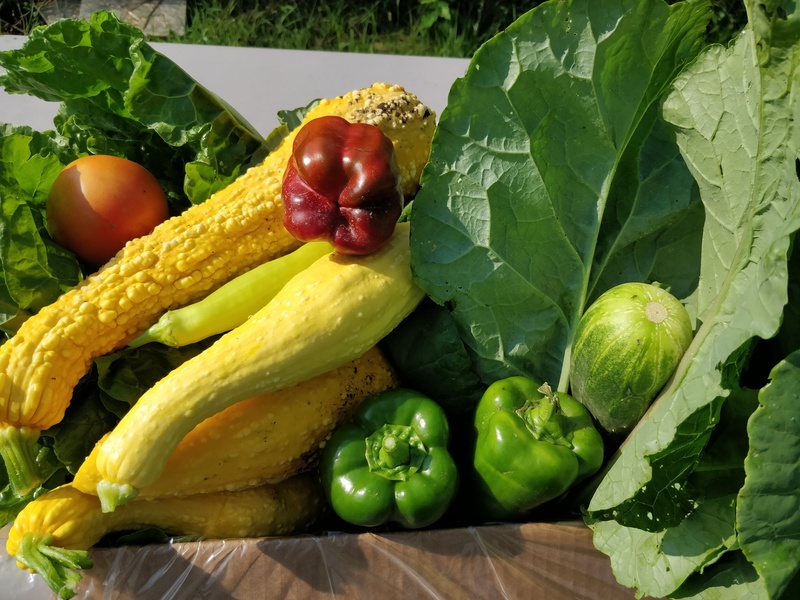 – Second Harvest –Kale, Squash, Cucumbers, Banana Peppers, Tomatoes, Green Beans. We had a few more donations this week. I can imagine with the rain we will have a good amount to harvest tomorrow! 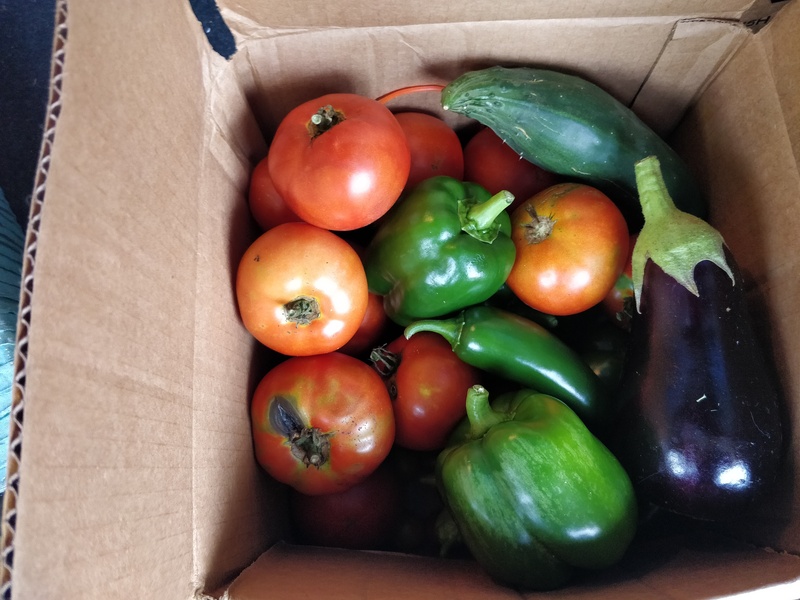 Thanks Sue K. for making a delivery this week! 07/31/2018 – 5 lbs. 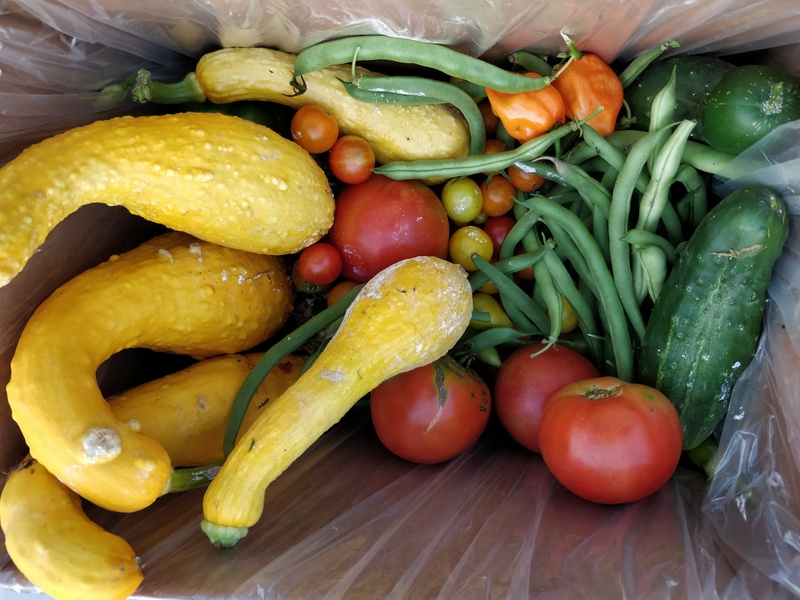 – Trinity Soup Kitchen –Zucchini, Squash, Cucumbers, Peppers, Tomatoes, Onions – Sue K.